Here is a video Grav-Mass greeting. 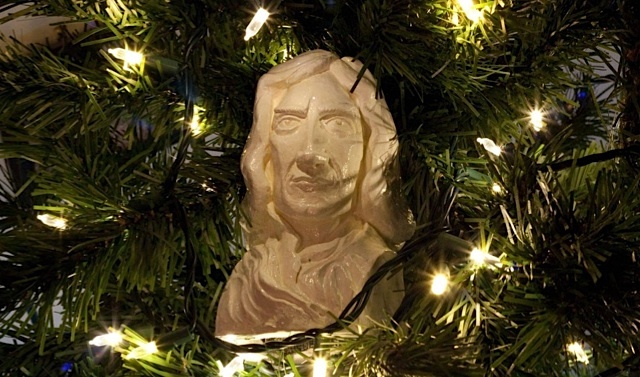 On December 25, Isaac Newton's birthday, we celebrate the existence of comprehensible physical laws. Remember, Gravitation is a well-established scientific theory, but Intelligent Falling is just religion pretending to be science. 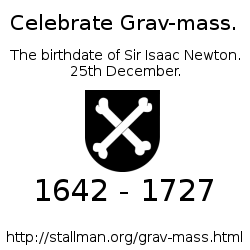 Here's a gallery of Grav-Mass cards that you can contribute to. 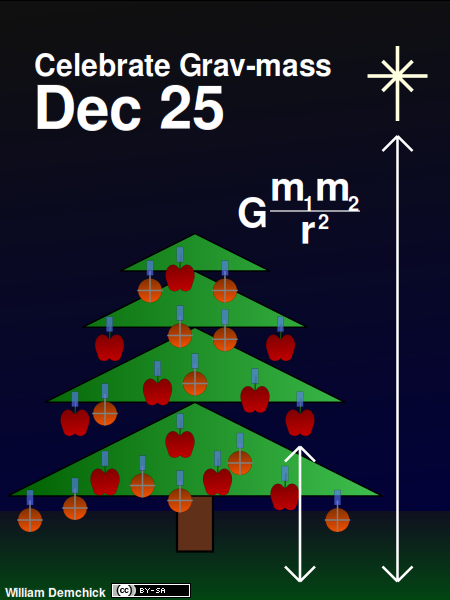 Another way to celebrate Grav-Mass is by throwing a ball or fruit back and forth. Another way to celebrate Grav-Mass, in a group, is by telling each other about scientific knowledge and understanding, or discussing what kind of experiment could answer an unresolved question about the world. There is a Grav-Mass discussion group. To participate you will need an account on a GNU Social server (you can find several options here) although read only access does not require any account. The Ten Days of Newton. In Bahasa Indonesia: Selamat Hari Gayaberat. In Greek, Kαλά Bαρυτούγεννα (Kala Varitouyenna). I think the idea of Grav-Mass was conceived by science fiction writer James Hogan. 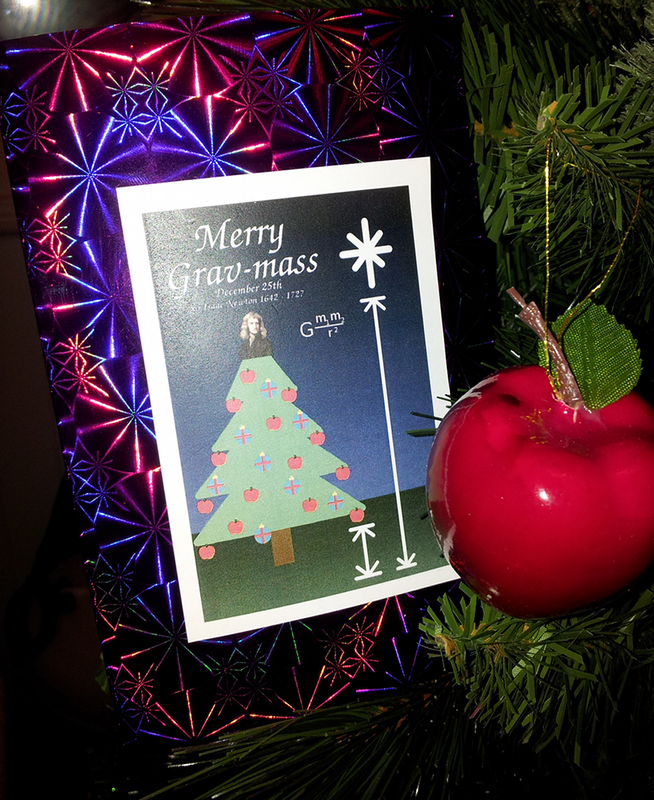 On Dec 19, 2012, I opened an envelope and saw what I believe was the first Grav-Mass card ever made. It was made and sent to me by Simon and Jane Whiteley. Here are the images that appear in the card, in case you would like to make some. Here's info about their family Grav-Mass celebration in 2012. 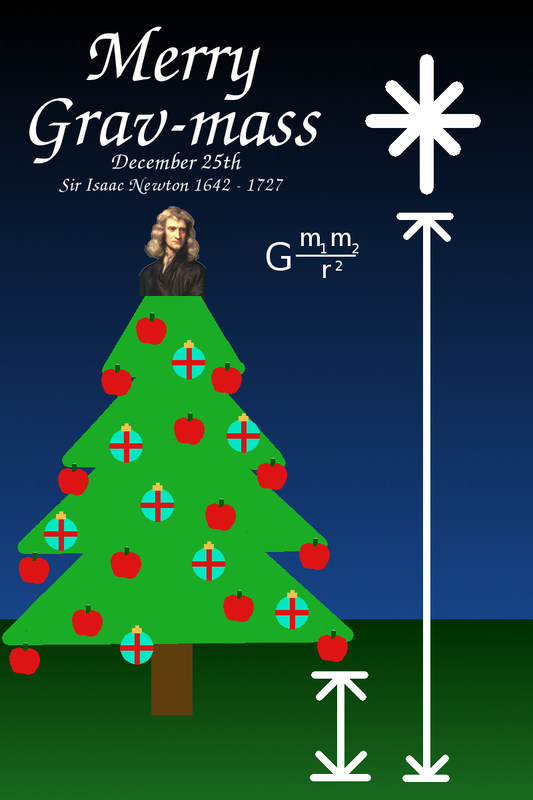 Here is another Grav-Mass card. Here is an animation of the card.